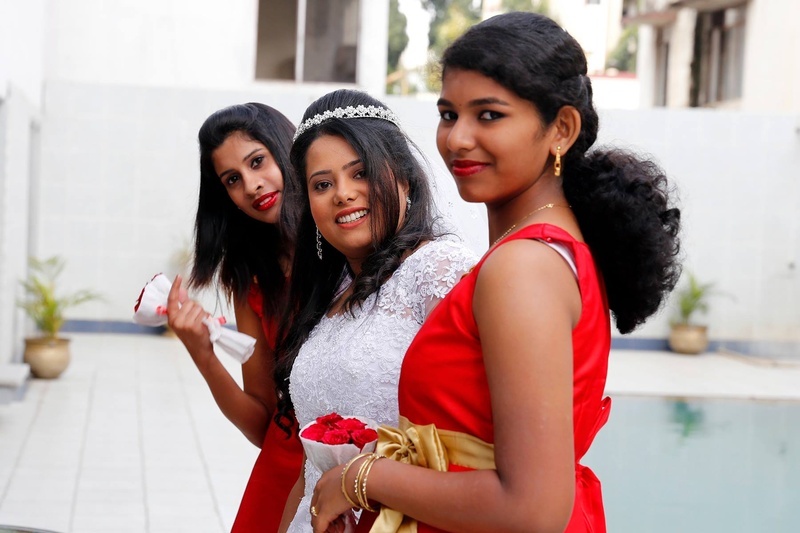 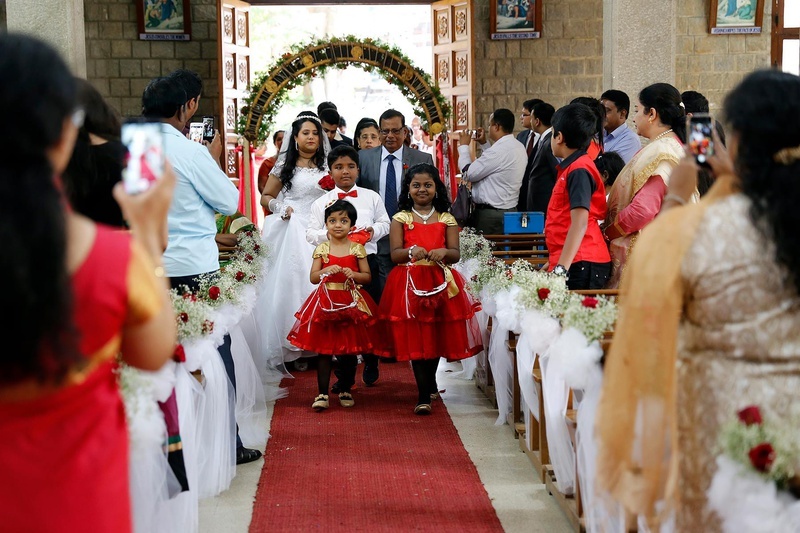 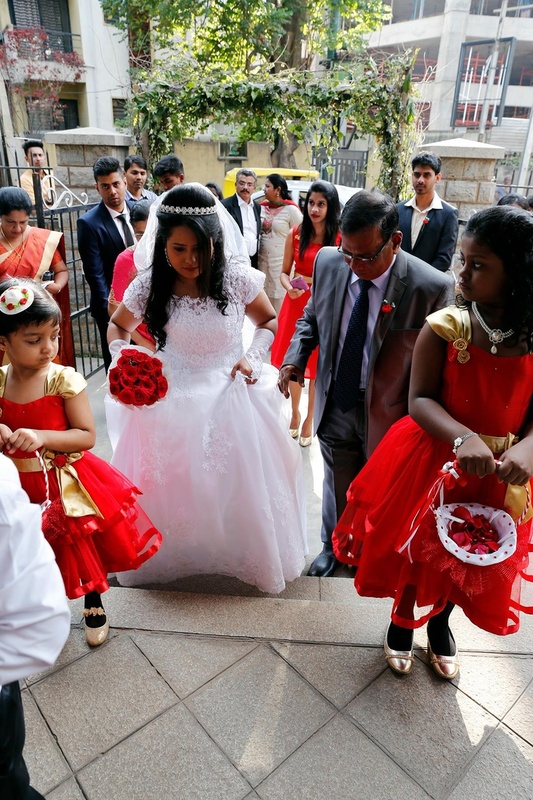 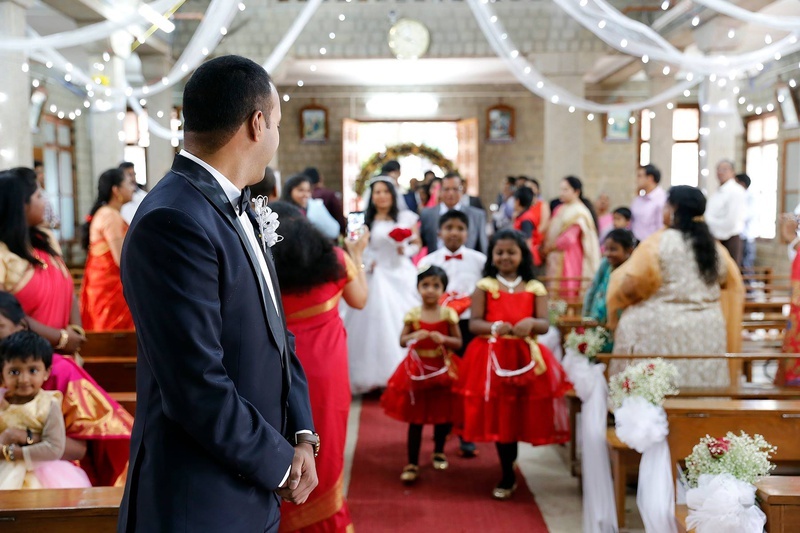 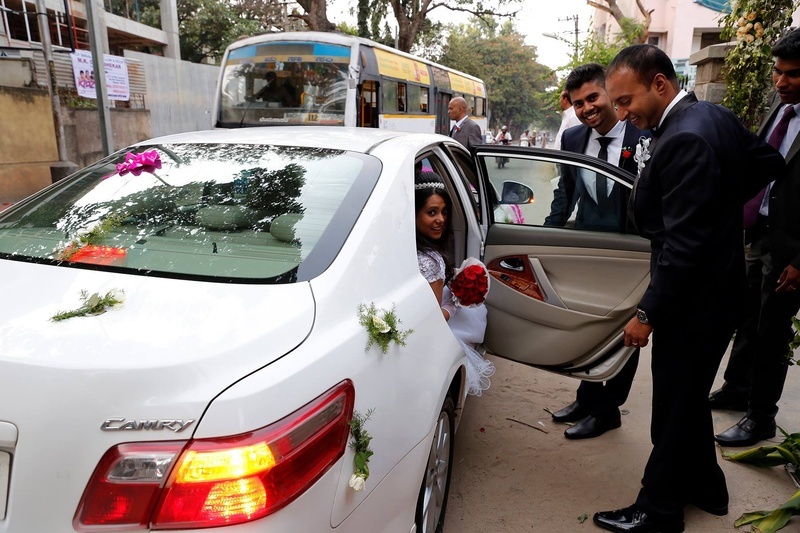 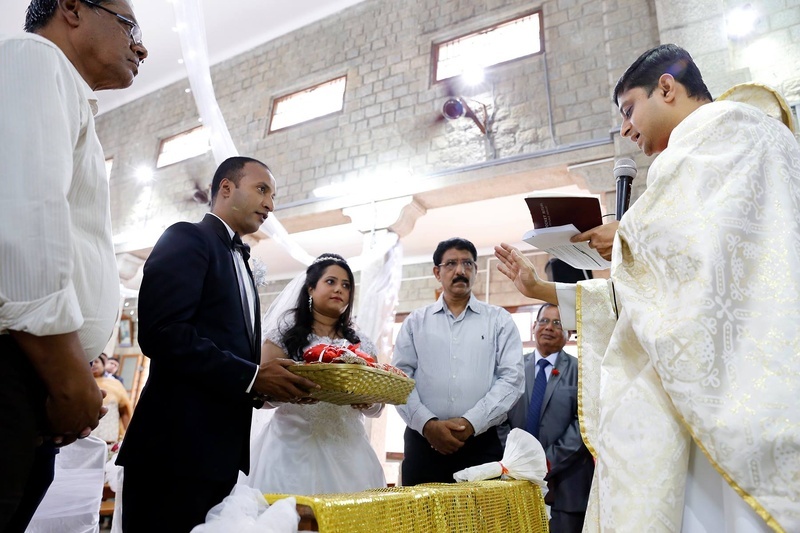 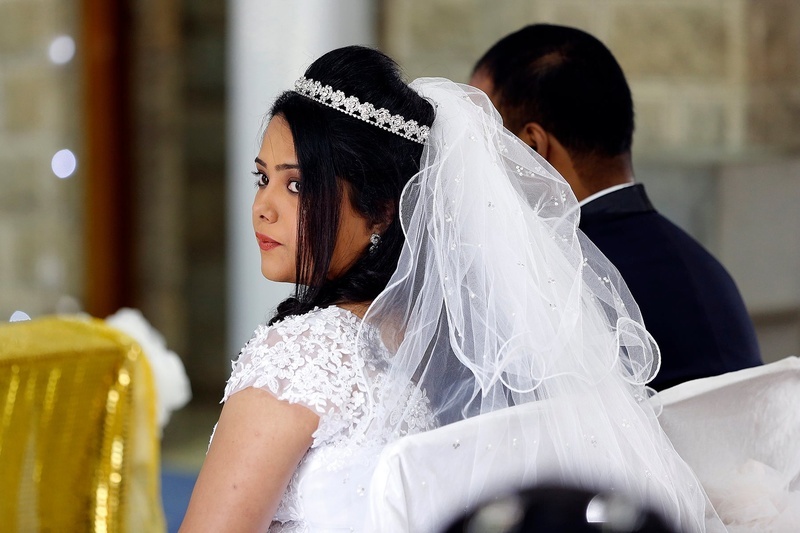 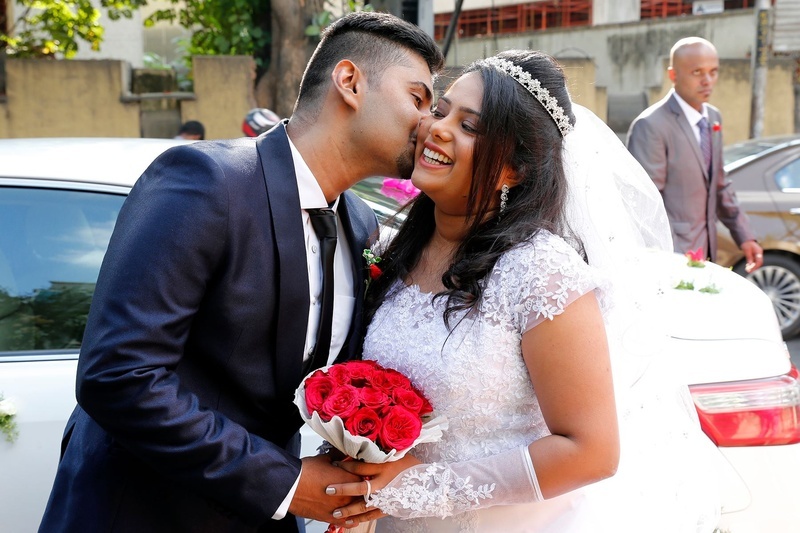 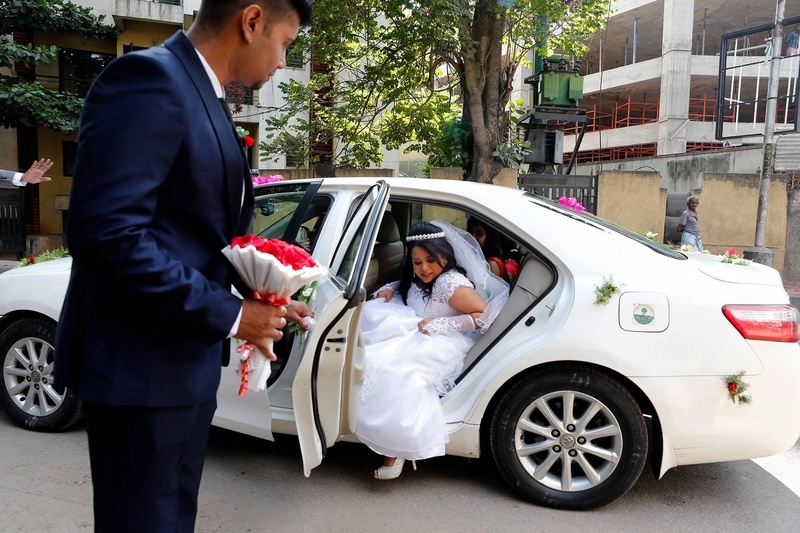 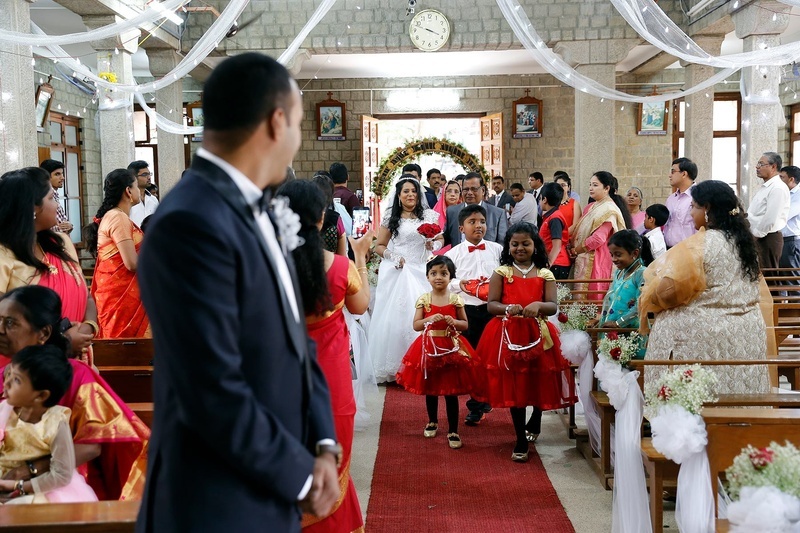 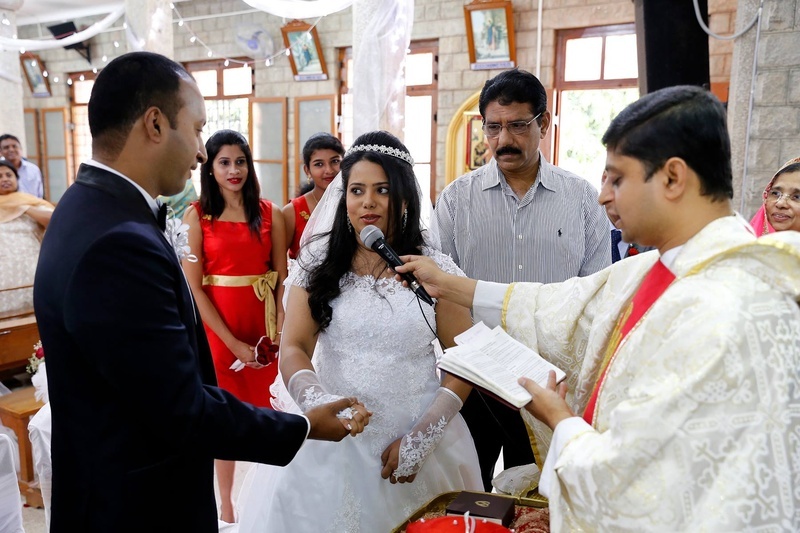 Christian marriages speak of elegance, class and style, all amalgamated into one – and Dona and Mukund’s wedding was just that. 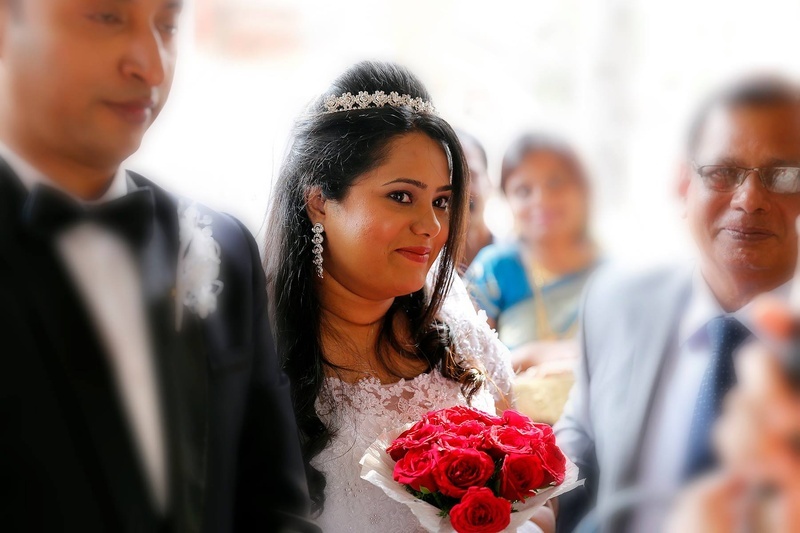 Gorgeous clothes, inspiring décor and a beautiful bride! 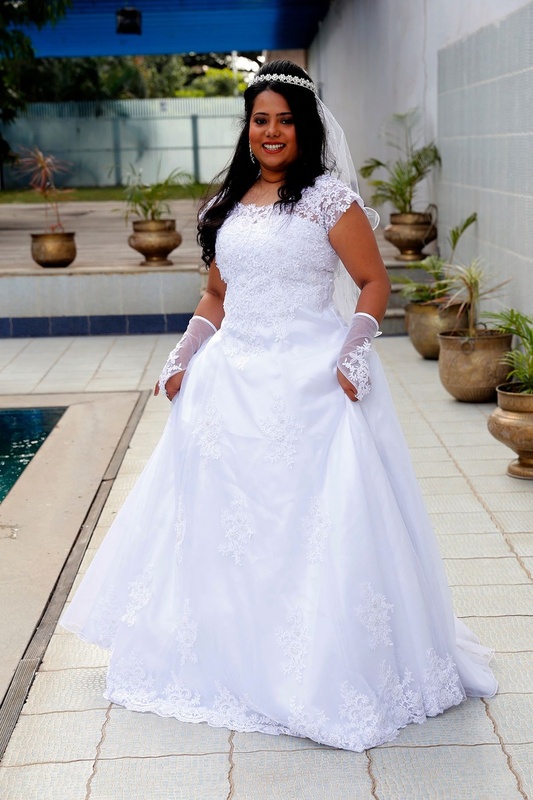 Dona made a beautiful bride in her gorgeous pearl white A-line wedding gown that had intricate patches of chantilly lace and a bodice embellished with silver beads and crystals. 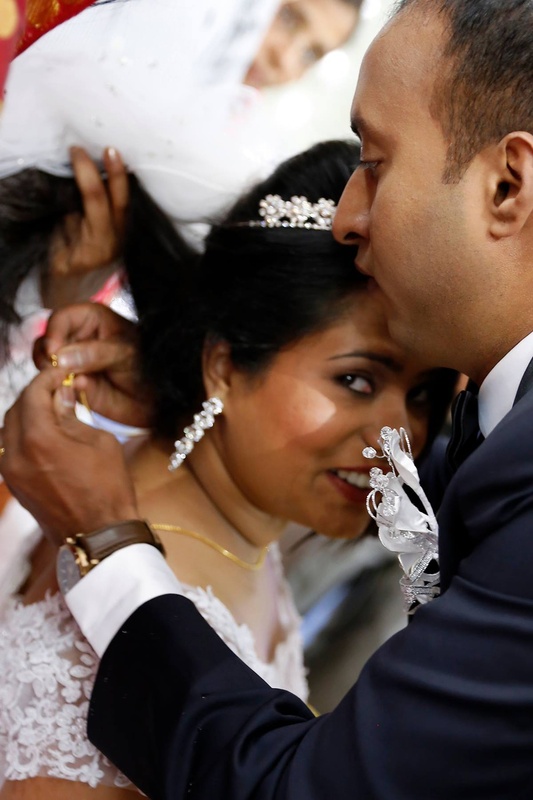 She kept her bridal accessories minimal with a dainty diamond necklace and matching dangling earrings. 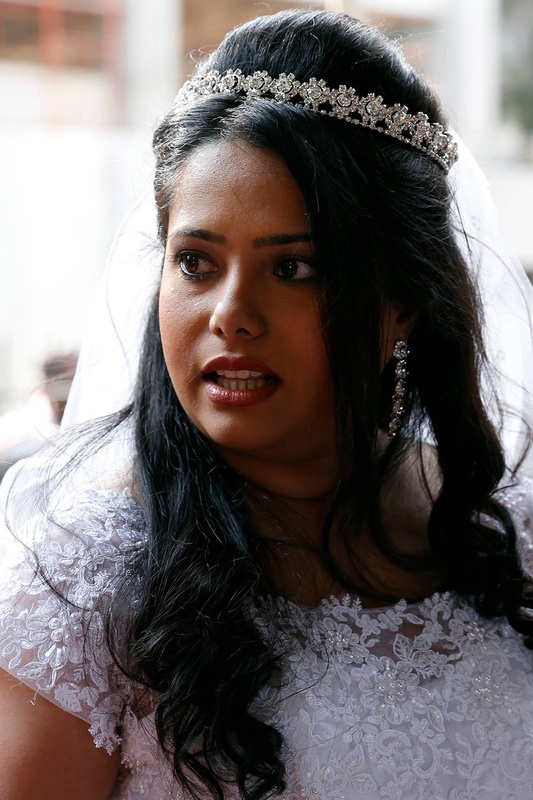 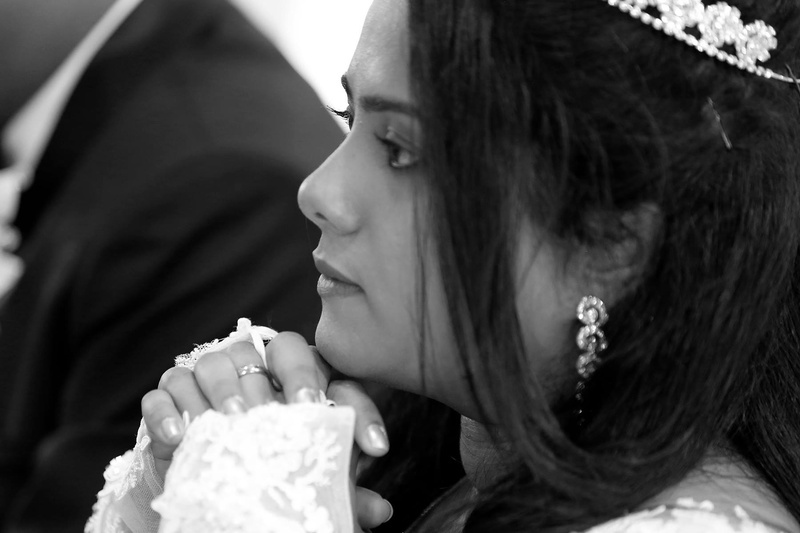 Her crystal-studded tiara completed her entire bridal ensemble just perfectly. 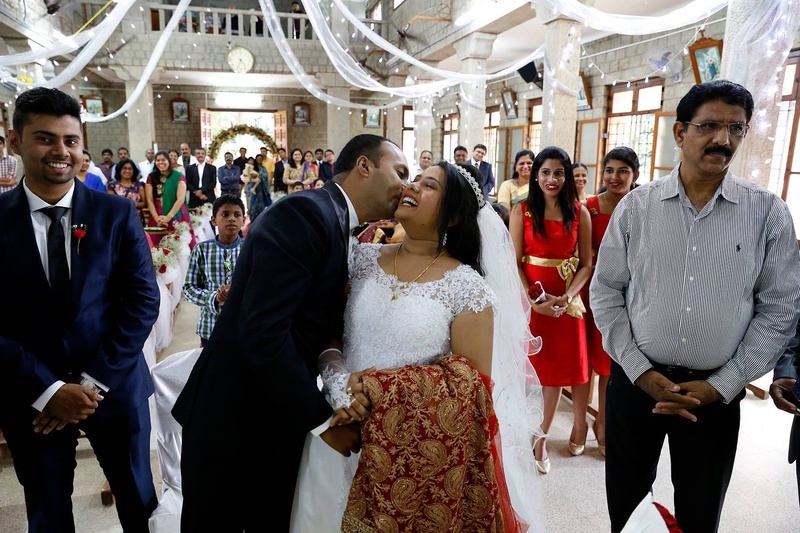 Mukund, the handsome groom, went with the classic carbon black tuxedo – together these two looked like characters straight out of a fairytale! 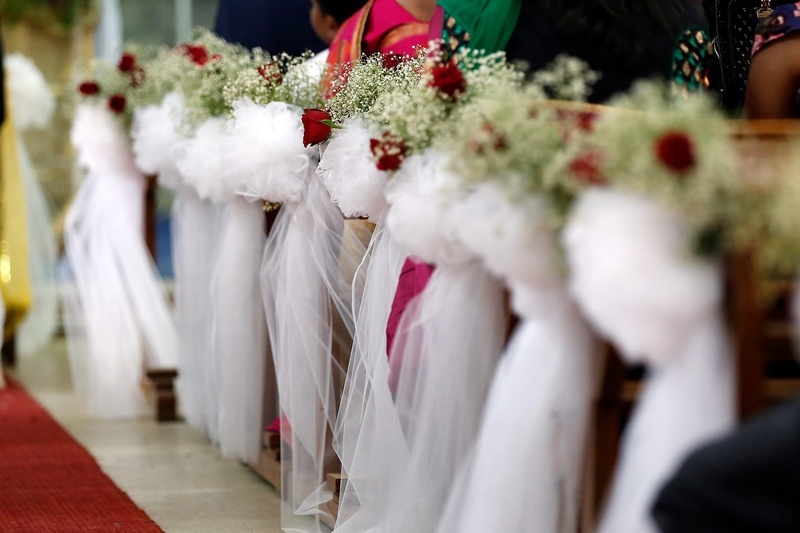 The church pews were decorated with bouquets of red roses and baby's breath flowers along with fresh green ferns and white drapes. 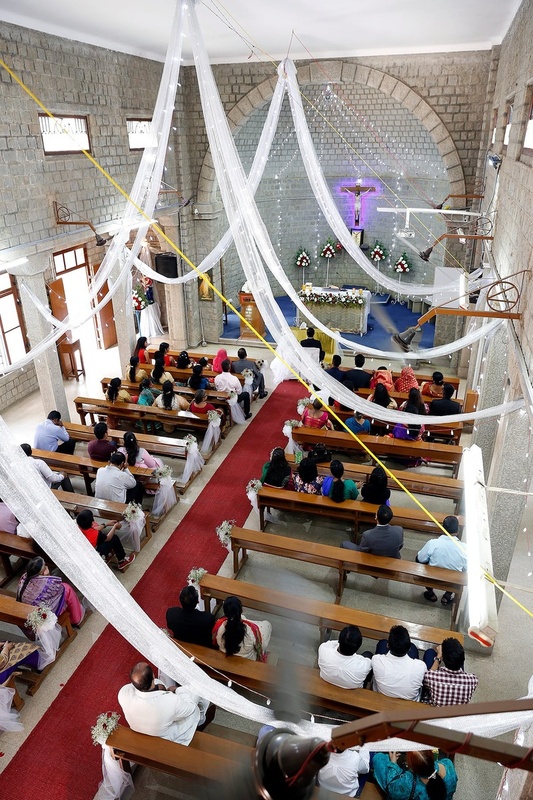 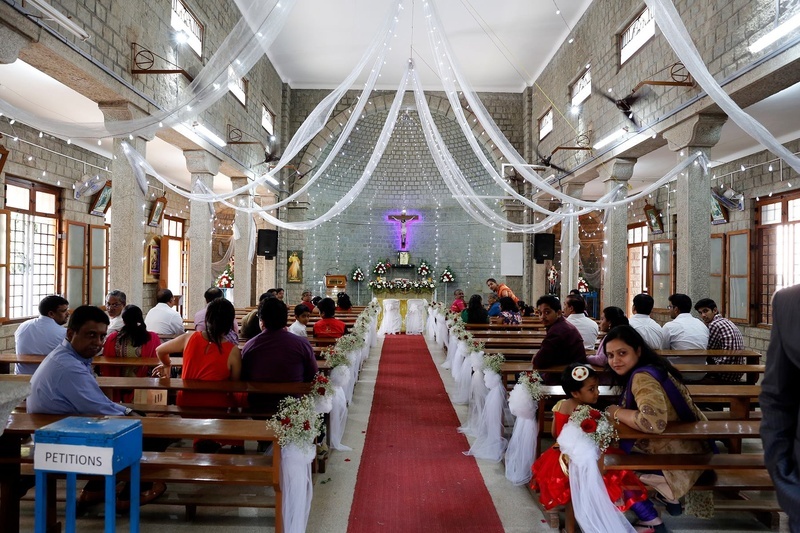 The sparkling series lights strung along the roof gave the entire church a magical feel. 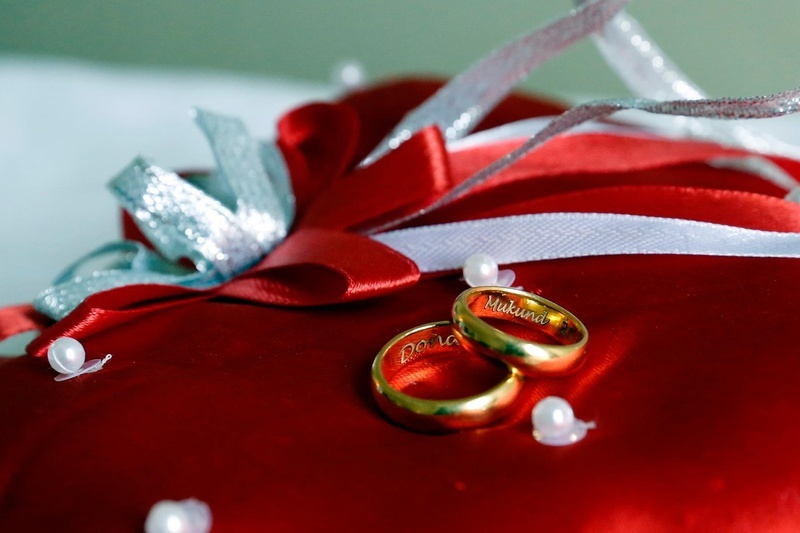 And even with all this prettiness all around, our favourite bit was the couple’s wedding bands. 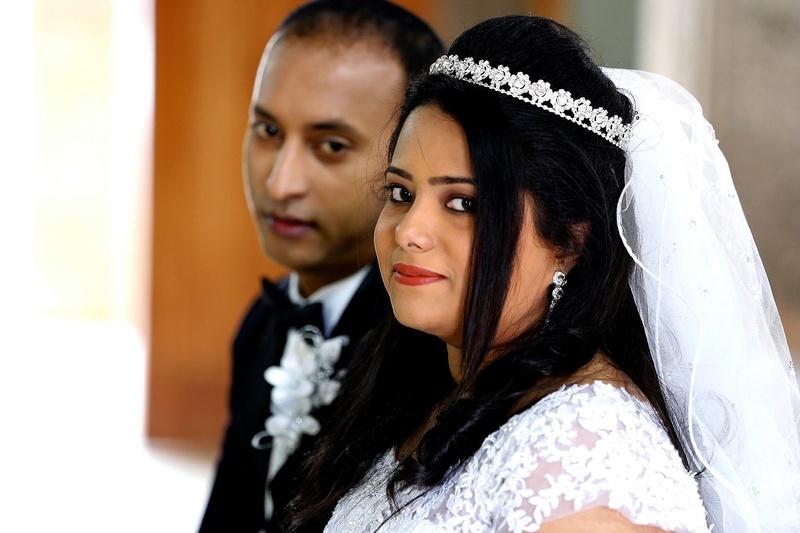 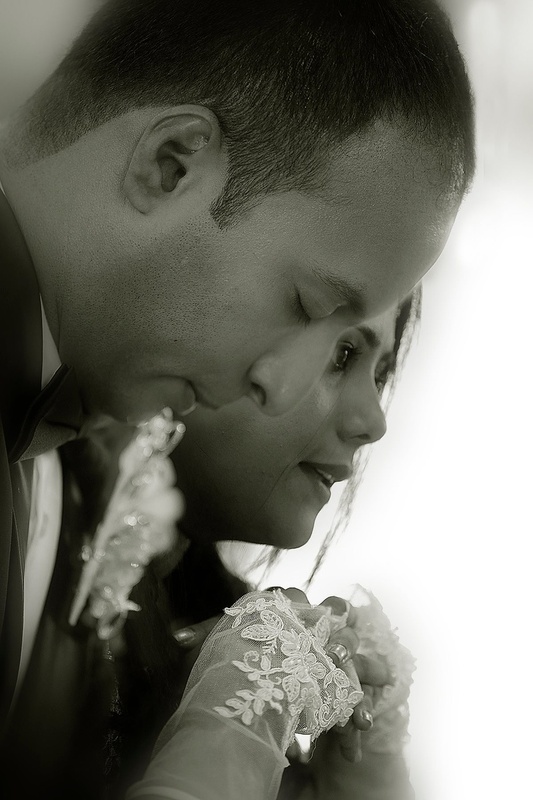 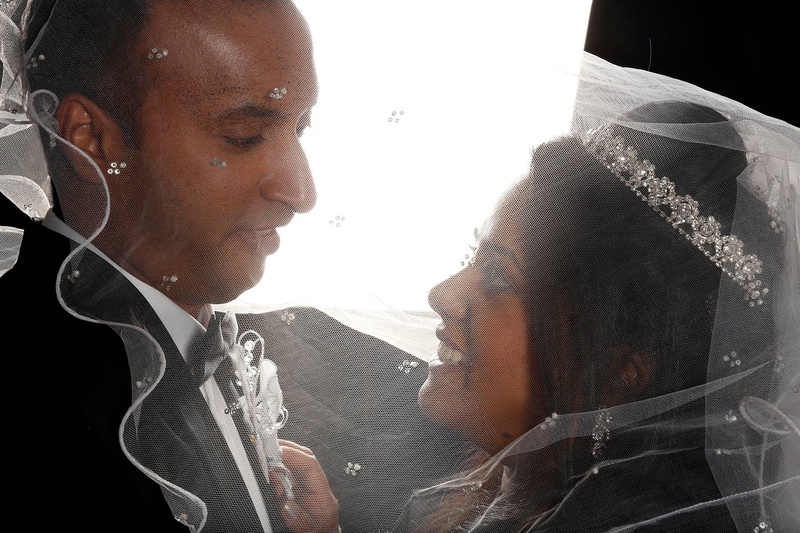 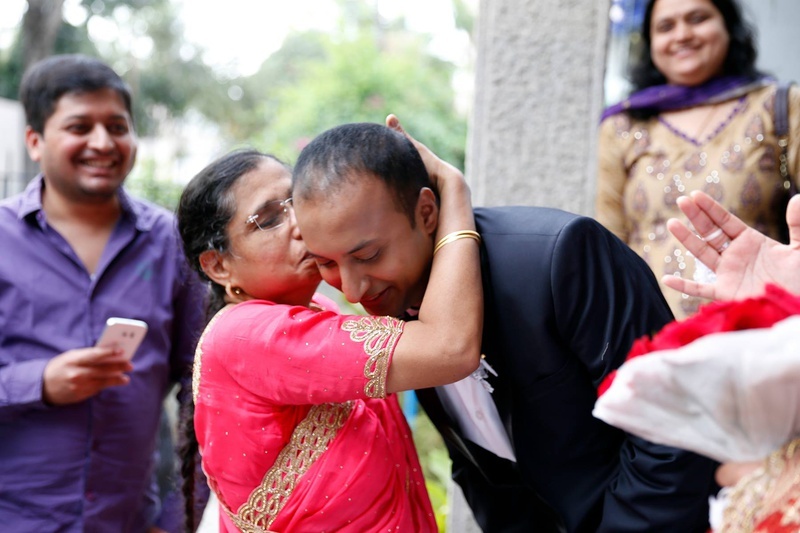 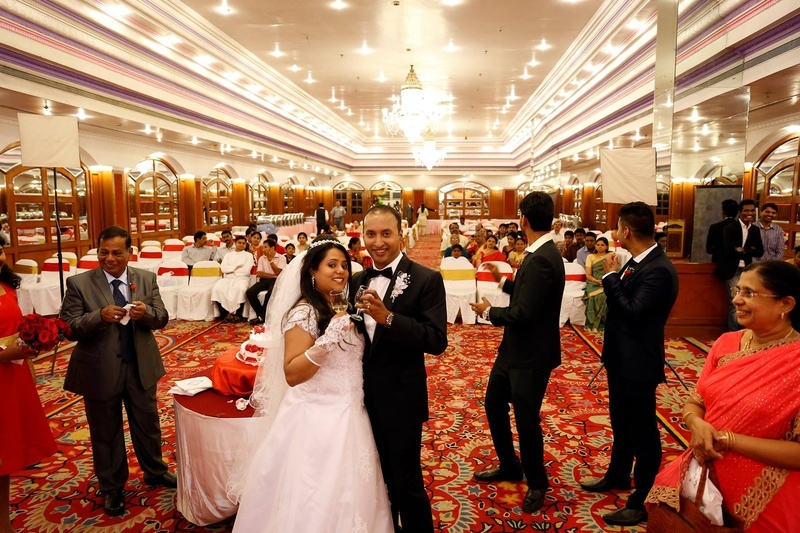 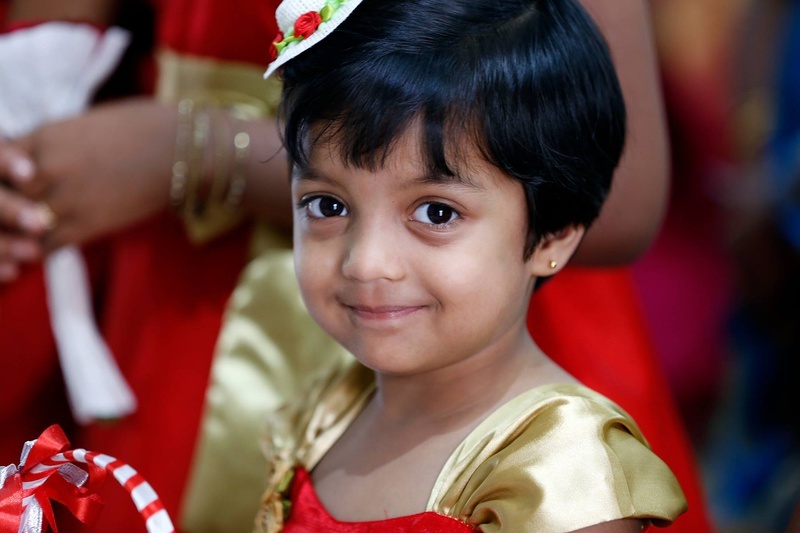 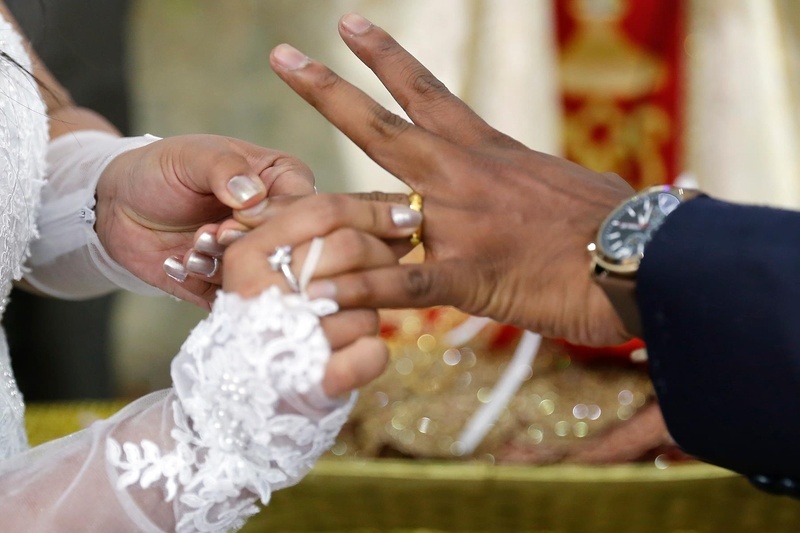 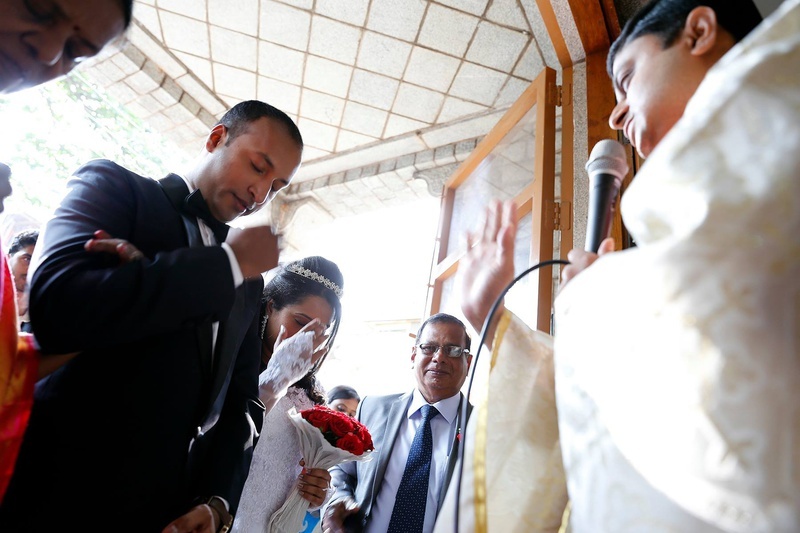 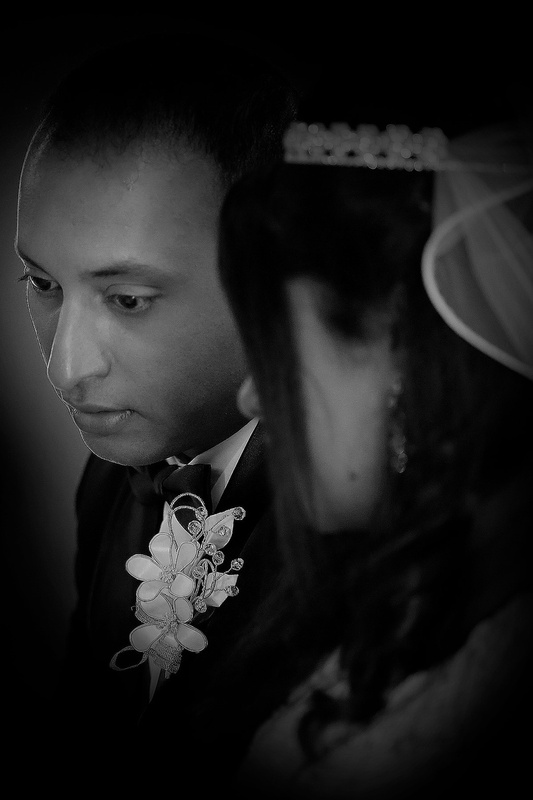 Dona and Mukund had their names engraved into the bands – and we were in love! 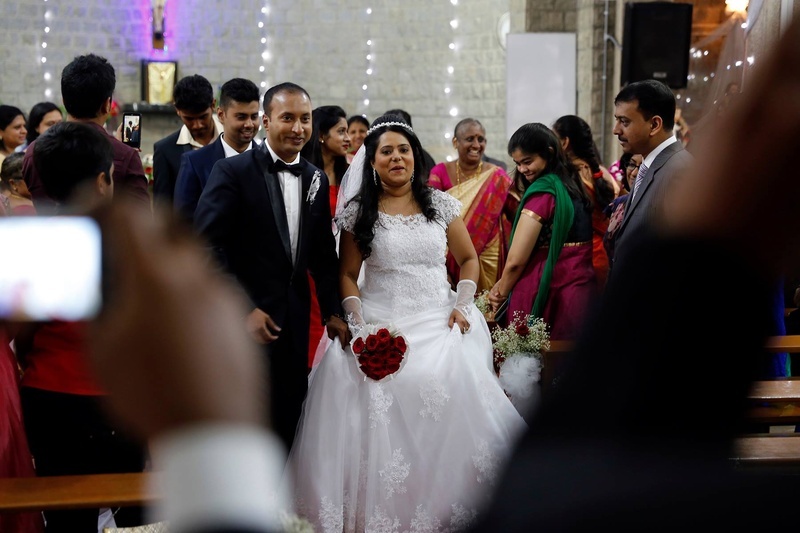 Deepak Chabria Photography shot every precious moment from Mukund and Dona’s marriage celebrations with utmost precision and style, still not failing to capture the intimate emotions.